 SARAH E. SCHWARZHOFF — Hoff Barry, P.A. Sarah Schwarzhoff joined the Firm in 2018. Ms. Schwarzhoff has focused on municipal law since 2008 and has developed extensive experience. She has worked with clients on land use and real estate issues, in particular, drafting purchase agreements and working through the execution of the agreement and the closing of the purchase. Ms. Schwarzhoff is the City Attorney for the City of Prior Lake. She has advised the City of Prior Lake during its establishment of Technology Village, a business incubator, and worked with the City of Prior Lake on an extensive review of its bylaws. She has drafted numerous assessment agreements and assessment waivers both in relation to private development and city improvement projects. She has worked on all manner of municipal contracts including energy contracts under Minn. Stat. §471.345 and cooperative agreements and grants involving cities, counties, the State, and the Shakopee Mdewakanton Sioux Community. She has worked extensively with the Data Practices Act and Open Meeting Law, advising clients on general compliance and on solutions for specific issues. She has also worked with various clients to draft and review new and updated ordinances and resolutions. Ms. Schwarzhoff also has experience working in annexation and detachment issues, road establishment, protection and vacation, and municipal contracting.